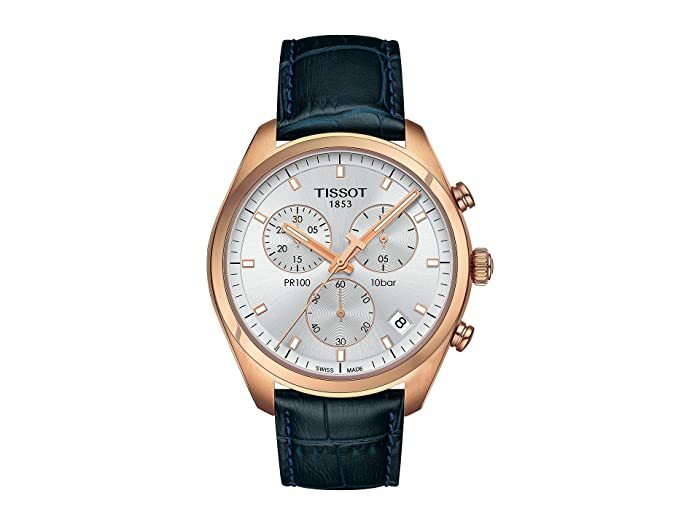 Complement your look with the elegant luxury of the Tissot® PR100 Chronograph watch. Round 316L stainless steel case with rose gold PVD. Adjustable alligator-embossed blue leather strap. Silver sunray dial face features baton hour markers and minute track at dial perimeter.